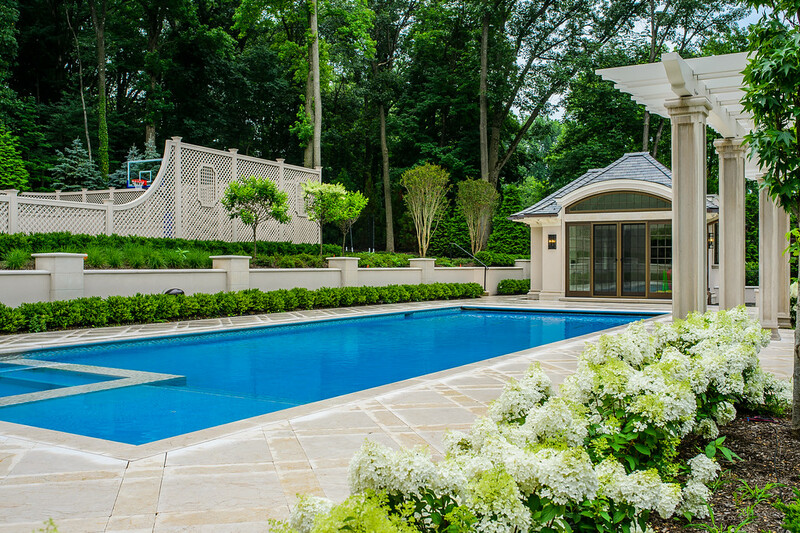 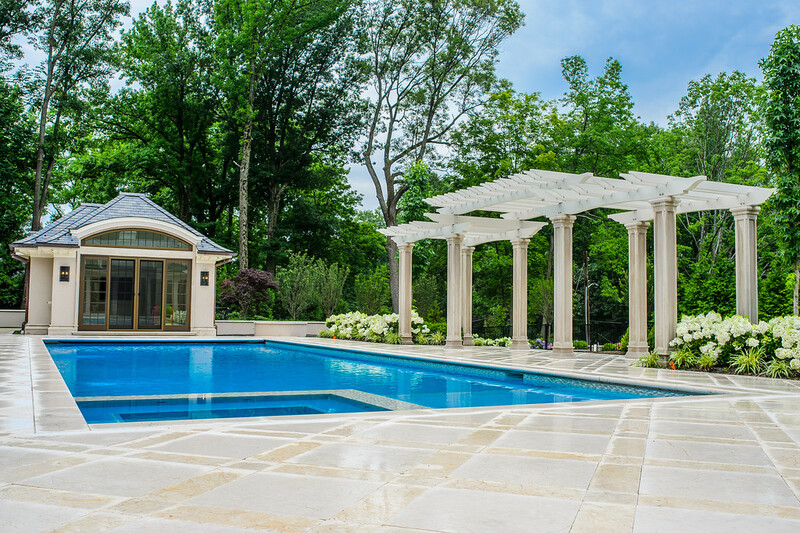 Timeless and elegance are perfectly displayed in this beautiful custom pool and spa. 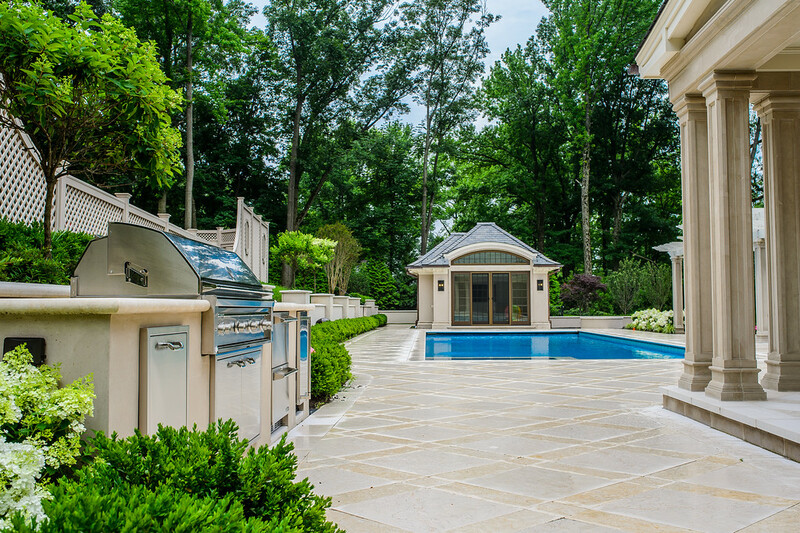 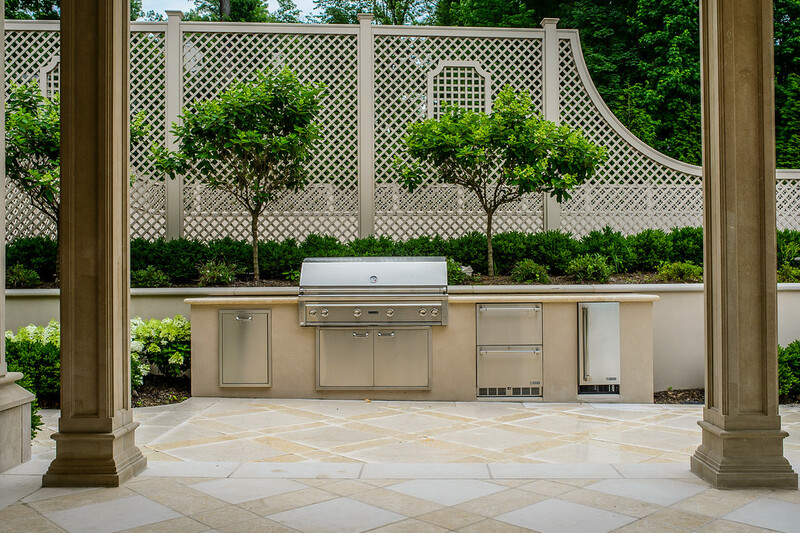 This backyard has everything from an outdoor kitchen, fire pit, tennis court and pergola. 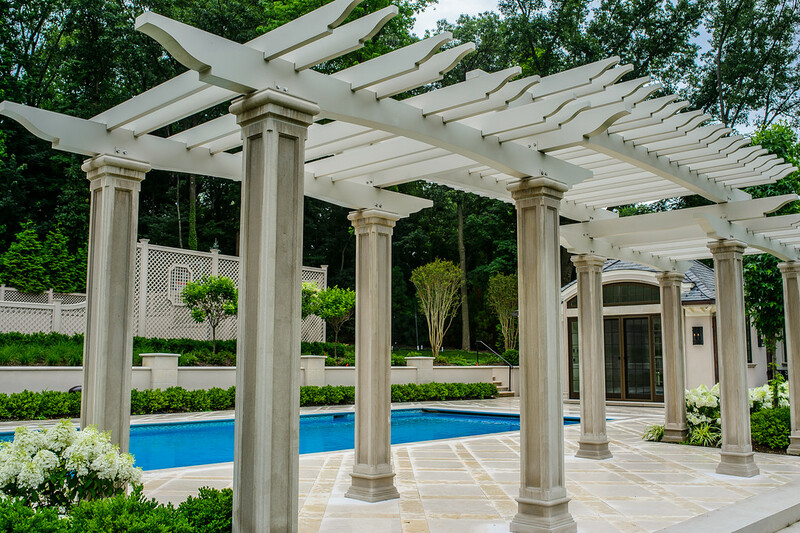 For this stunning design swimming pool and spa, we matched the materials for the patio, coping, pergola and deck area to the new home construction. 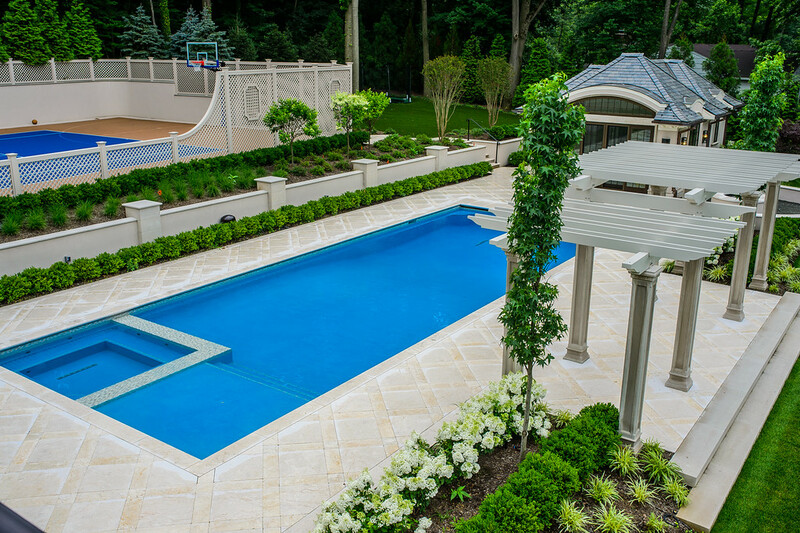 We wanted to ensure that everything blended seamlessly, creating a clean and classic design for the home. 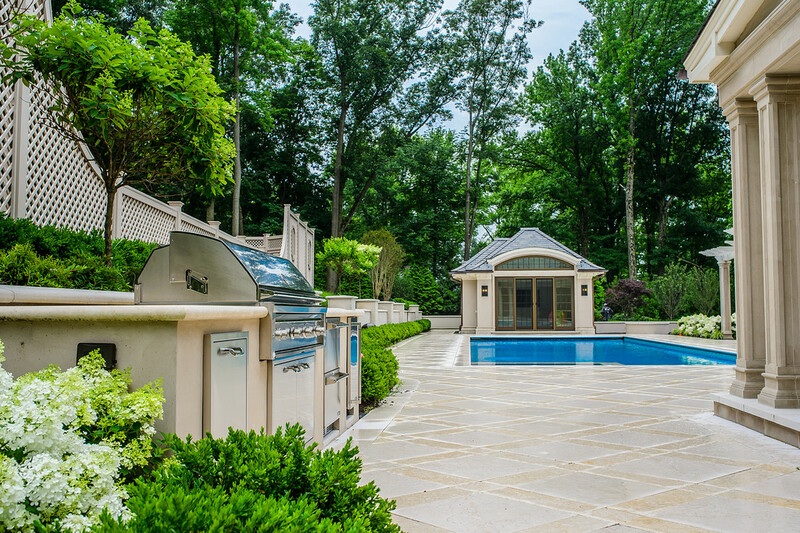 This backyard is a jaw-dropping dream come true, equipped with an outdoor kitchen, pergola, custom fire pit, tennis court, basketball court, expansive patio space and a cabana. 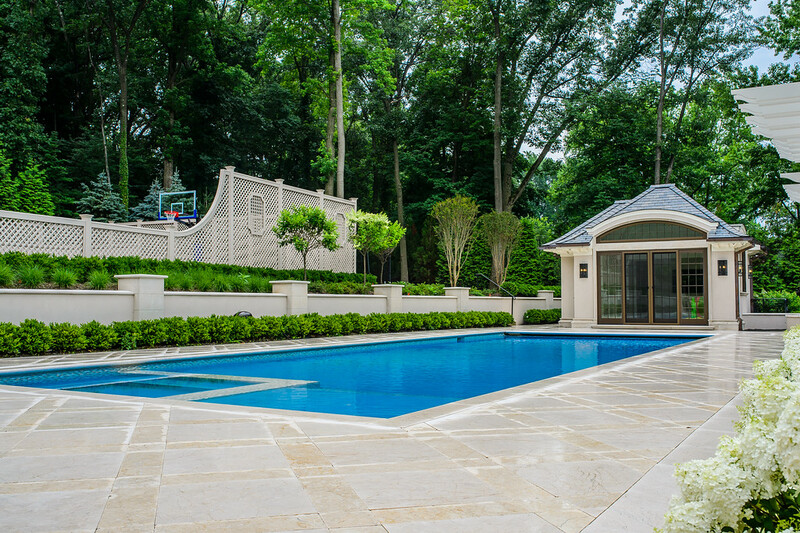 There is no need for a vacation when this is right outside your own door.